If your order weighs less than 13 ounces, save huge on shipping with USPS first class (with tracking number). This product weighs 11.5 oz. 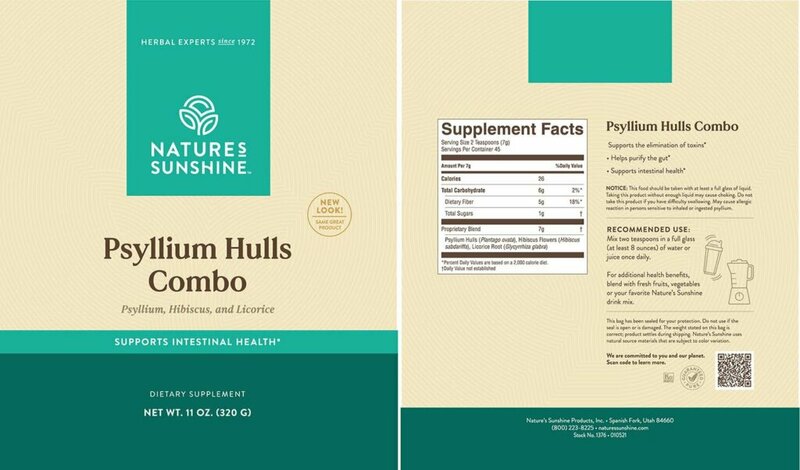 The Nature’s Sunshine Psyllium Hulls Combination is specially formulated to support bowel function and the digestive system. Psyllium hulls which are able to absorb large amounts of liquid, are high in mucilaginous fiber that helps soothe and cleans the bowel. Psyllium has additional health benefits for cholesterol levels and the cardiovascular system. Hibiscus flower, another key ingredient of this product, is rich in antioxidants that support the digestive system and aid in maintaining healthy cholesterol levels. 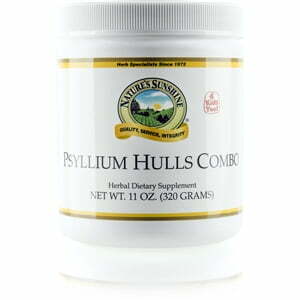 Psyllium Hulls Combination also contains licorice root, used to alleviate constipation and inflammation. 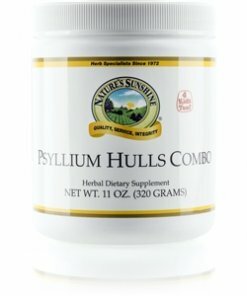 These three ingredients in Nature’s Sunshine Psyllium Hulls Combination together soothe and cleanse the digestive system, rid the body of toxins, and help in maintaining healthy cholesterol. Persons who are sensitive to psyllium may experience an allergic reaction and should avoid this product. Instructions: For adults: Mix two teaspoons in a glass of water or juice. For children six years and over: Mix 1/4 teaspoon in 1/2 glass of water or juice at bedtime.